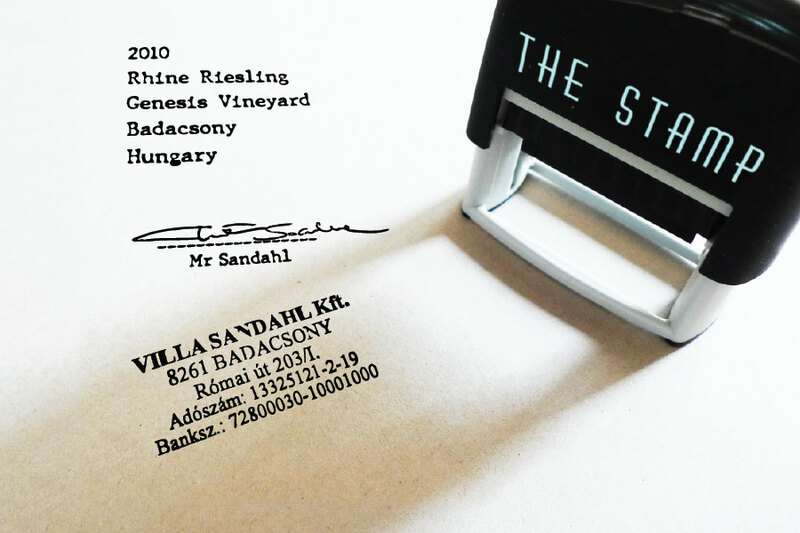 We very soon found that the company stamp is necessary whoever to visit in Hungary. In the beginning we always forgot to bring it and had to drive back to our office to fetch it. Smell: The smell is full of citrus, lime, honey, dried fruit and minerals. The elegant acidity is laser sharp and electric. The smell has not yet opened up, but is absolutely promising. 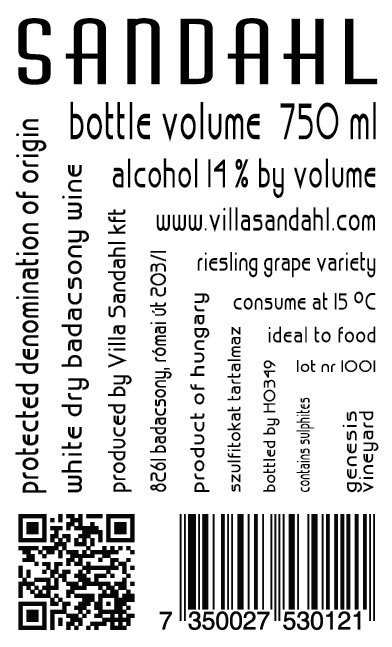 Taste: The taste is rich and full, still young and a bit raw, but with high potential to improve with bottle ageing. The after-taste is very long and wonderfully free from any kind of bitterness. Judgement: This wine is a monster in superlative characters. It is a bit closed for the moment, but will blossom in a couple of years and last for a good decade.